For 15 years, Norma Hoffman relentlessly campaigned against construction of a four-lane highway through the Park. The odds were against her. The county received approval to build the road in 1983. Many citizens in the area, not aware of the environmental impacts, were in support of the road. Norma remained hopeful and upbeat. She co-founded CASH (the Citizen's Alliance to Save Huntley), which would eventually have 600 members. She enlisted scientists and legal help. She testified, telephoned, and dropped flyers. Finally, in response to CASH's concerns, the Federal government rescinded approval for the road, and the project was stopped. 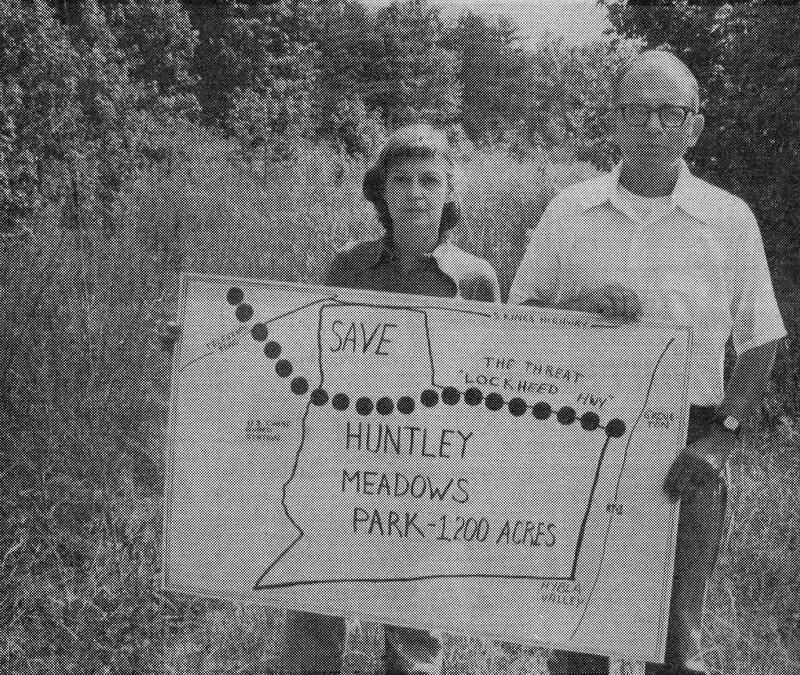 Norma co-founded the Friends of Huntley Meadows Park in 1985. This was one of the first Friends groups in the Fairfax County Park Authority (FCPA) Resource Management Division and has been used as a model for other groups, which now comprise the increasingly important and effective Federation of Friends. Norma has mentored and inspired many environmental activists and community leaders in Fairfax County. These include the past presidents of Friends groups, public officials, Fairfax County Supervisors, FCPA board members, and the volunteers and staff at Huntley Meadows Park. Her indomitable spirit has spread far and wide for the betterment of the Fairfax County parks and environment. Starting in the mid-1980s, Norma sought the preservation of Historic Huntley . Her political acumen and perseverance were invaluable in turning the tide on the county's decision to finally purchase Historic Huntley. Her connections with the political establishment and county staff as well as her people skills helped to attract members to join the board of Friends of Historic Huntley, which she also co-founded. She provided constant encouragement and support to board members and advocated for funds for preservation and interpretation. 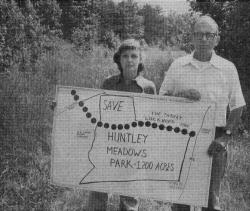 Historic Huntley is now an integral park of Huntley Meadows Park. Norma ensured that the county mitigated environmental damage caused by the extension of South Van Dorn Street by adding over a hundred acres of wetlands to the Park. She also worked to restore Dogue Creek upstream from Huntley Meadows Park. Norma volunteered at Huntley Meadows Park on a weekly basis for over 30 years. She taught thousands of children about nature and greeted visitors of all ages at the front desk. She had a huge heart and loved the Park, its wetlands, its visitors, and its staff. In Fall 2013, the Huntley Meadows Park Visitor Center was renamed in this icon's honor. To follow in this great woman's footsteps, become a Park volunteer by contacting the Norma Hoffman Visitor center at 703.768.2525.